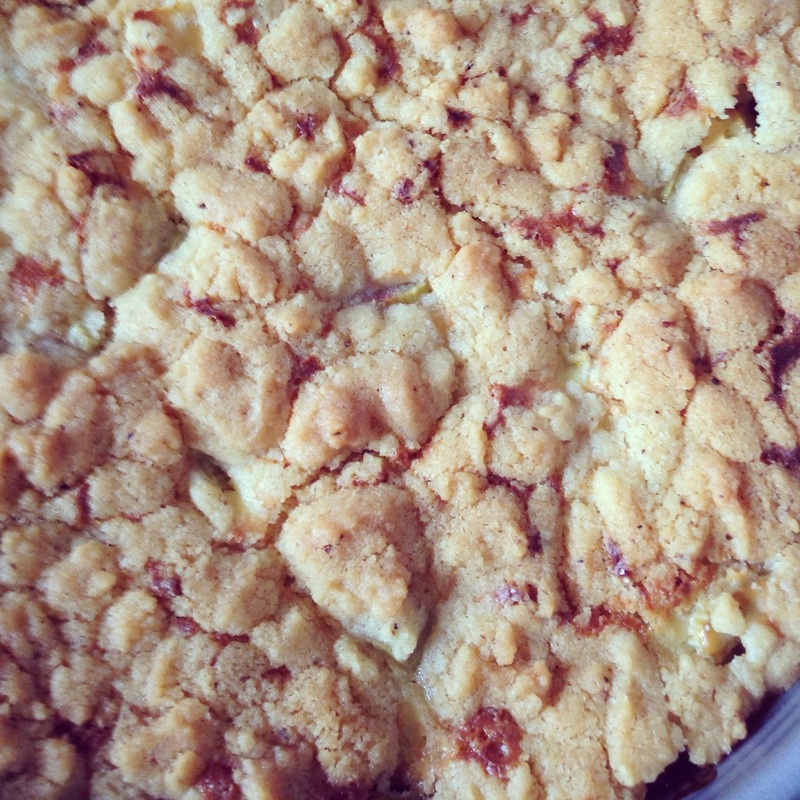 As a child, crumble was my favorite part of the cake. 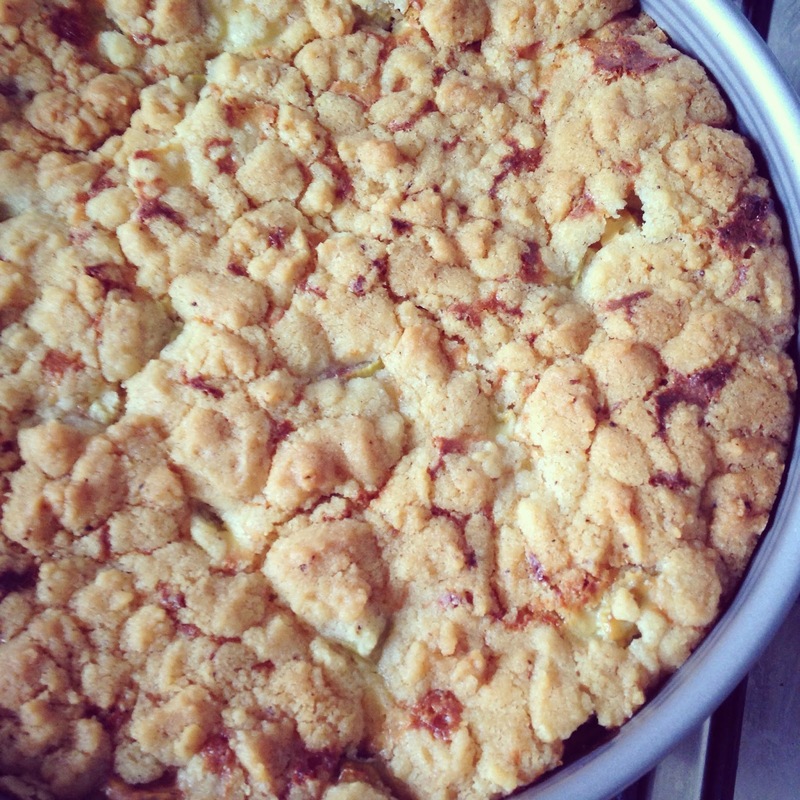 All kinds of cheesecakes and crumble were just right. When I started to bake, I was concentrating precisely on these kinds of cakes. 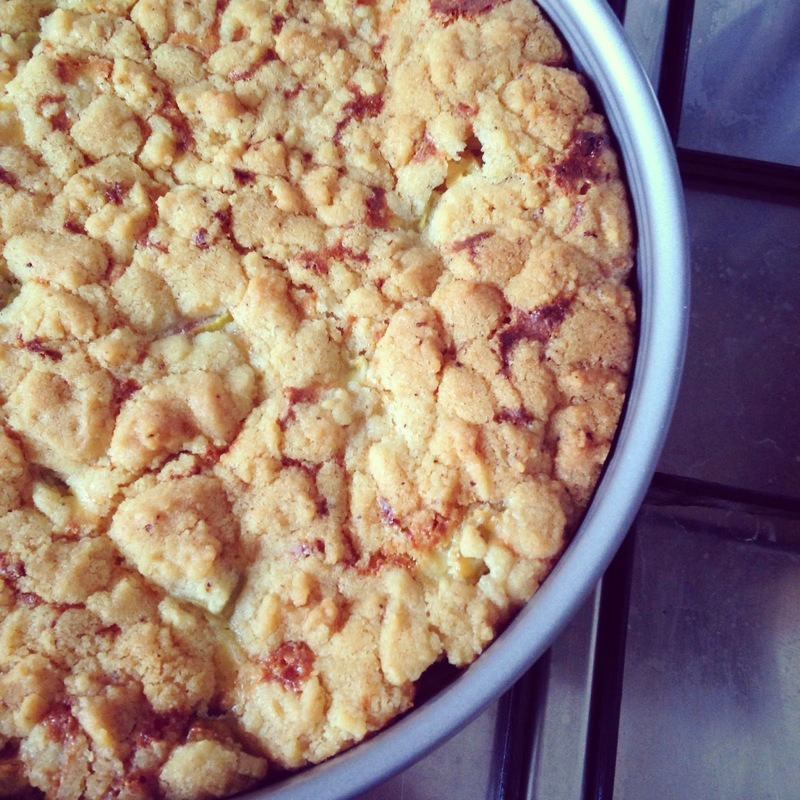 Well, this time I took a rhubarb and made crumble cake with cream filling. 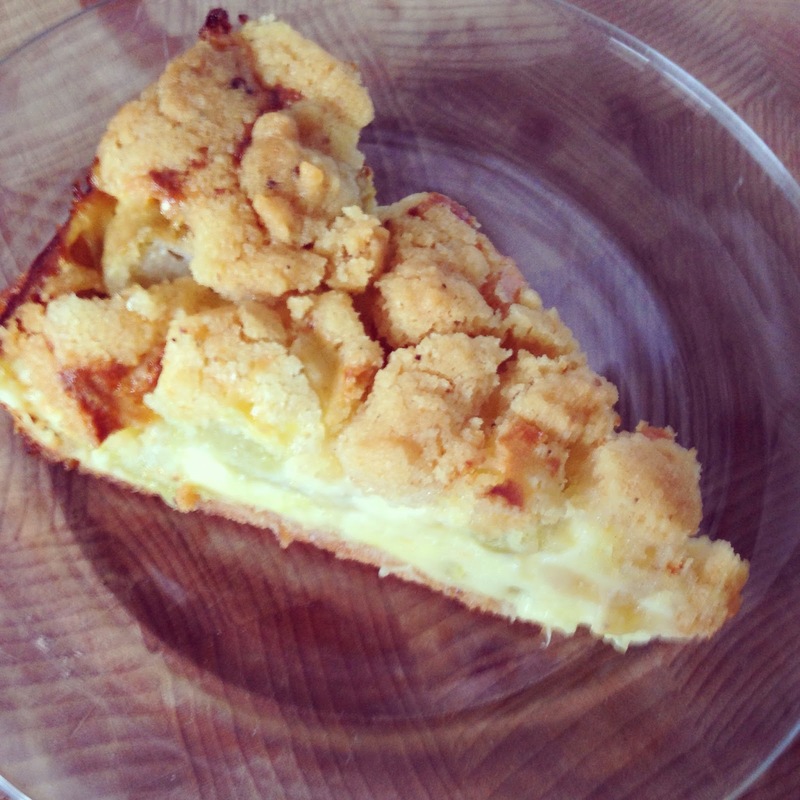 I am crazy about the crumble cake. Actually, rhubarb makes a good partner! Mix the all ingredients for dough and beat it with the hand mixer on low level first, then on the fastest level. Put approximately half of the dough to the cake and save the rest for the top. Whisk all the ingredients for the filling and finally mix it with sliced ​​fruit. Pour into the cake tin. 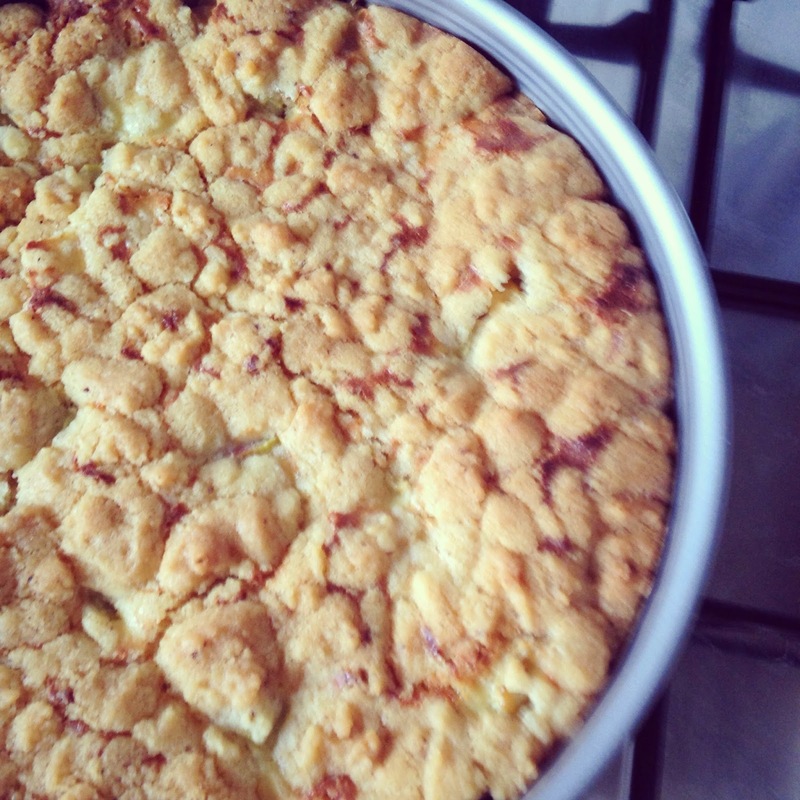 At the end, sprinkle the cake with the rest of the crumble and bake for about 55 minutes at 180 degrees. 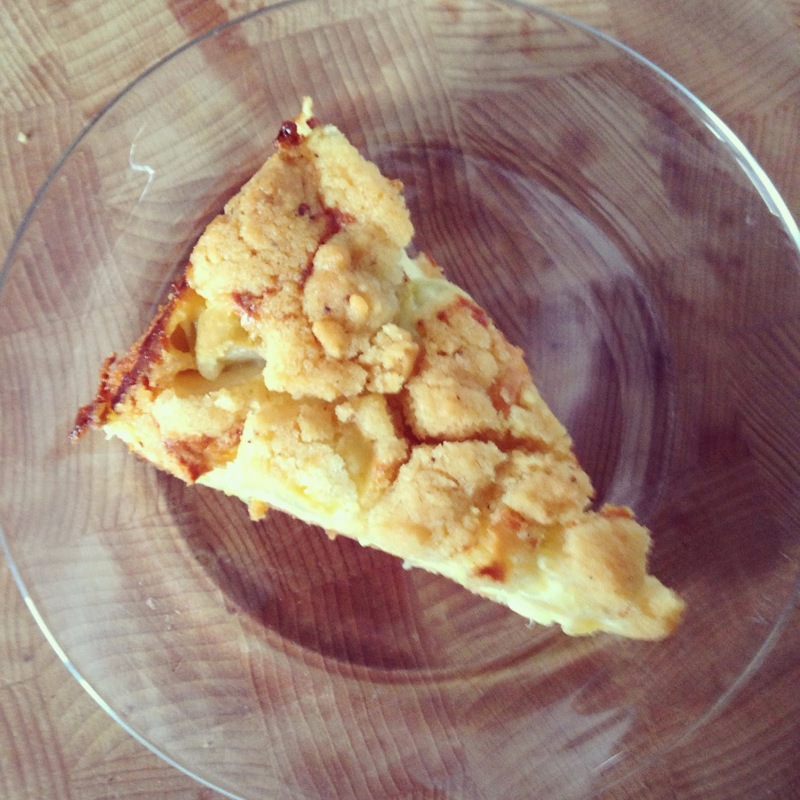 Have you tried any rhubarb cake so far this year?